Here is what our patients are saying about Dr. Ruescher! Absolutely the best chiropractic care anywhere. I highly recommend. Julie H.
Look what Melinda has to say about Dr. Ruescher! I wouldn't be able to do the things I can do today without the awesome care of Dr. Ruescher. I highly recommend them and would give them more than 5 stars if I could. Call us at (757)-345-3838 today. For more information or to schedule an appointment with our Williamsburg chiropractor, call (757)-345-3838 today! Dr. Ruescher is a chiropractor serving Williamsburg and the surrounding area. 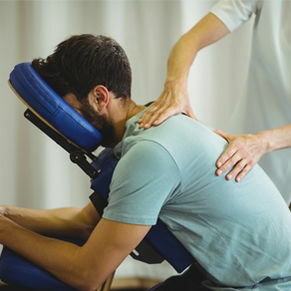 Our chiropractor and the rest of the welcoming team at Infinite Wellness of Williamburg are committed to providing chiropractic solutions to address your unique needs, whether you are experiencing back pain, neck pain, headaches, or even muscular tightness and tension. You may be searching for pain relief after an accident, experiencing an injury, or if you suffer from a specific condition like chronic back pain or a spinal condition. Even if you are looking to improve your overall health, Dr. Ruescher can help you attain your everyday wellness goals! Visit our testimonial page to find out what our patients are saying about Dr. Ruescher and our chiropractic care plans. At your first visit to Infinite Wellness of Williamburg, Dr. Ruescher will explain how chiropractic care works and give you a full evaluation to see if our chiropractic solutions are a good fit to address your needs. If there is a good fit, we can customize a plan of chiropractic care for your condition and health goals. Your nervous system may be compromised if you suffer from any of these seven major signs of stress: Headaches, sinus problems, fatigue, sleep problems, pain, digestive disorders, or irritability (to include mood swings or hormone problems). If you have not been to a chiropractor before and want to find out more, please email us or call (757)-345-3838 to receive the answers to your questions from our experienced team. We also welcome referrals, so we invite you to share our chiropractic and wellness information with your friends and loved ones. Dr. Steven C. Ruescher uses chiropractic care to improve the health and wellness in all areas of patient's lives, whether they are having problems with back pain or neck pain, or just want to start feeling better when they wake up in the morning. Dr. Ruescher takes a 'whole person' approach in chiropractic care, which means looking for the underlying causes of disease, discomfort, and pain, as opposed to just treating the symptoms. 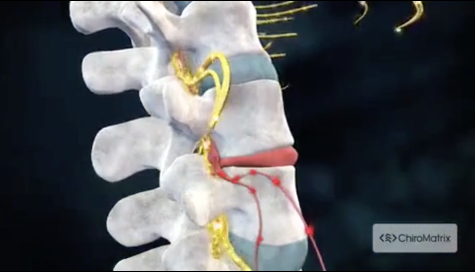 Many seemingly unrelated symptoms often arise from imbalances in the spinal column, and Dr. Ruescher will be able to determine the root of the pain and create a personalized chiropractic and wellness plan to suit each patient's individual needs. Under the supervision and care of our caring and skilled chiropractor, patients report higher functioning in all areas of their lives.